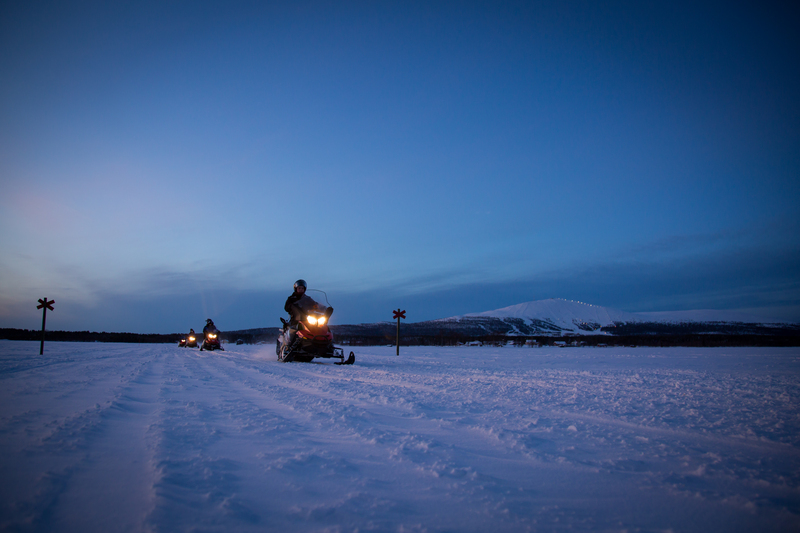 Snowmobiling in the beautiful twilight time in the evening provides a different kind of nature experience. We drive to the woods away from village Ylläsjärvi and stop in a Lappish tepee by a small lake, where we have a hot drink by an open fire. If the weather is clear, we will spot the bright stars of the sky. Do you know Stella Polaris or Orion belt, what about Sirius, the brightest star of the sky? Guide tells stories about the Northern Lights and we may even see this nature’s magnificent light show. 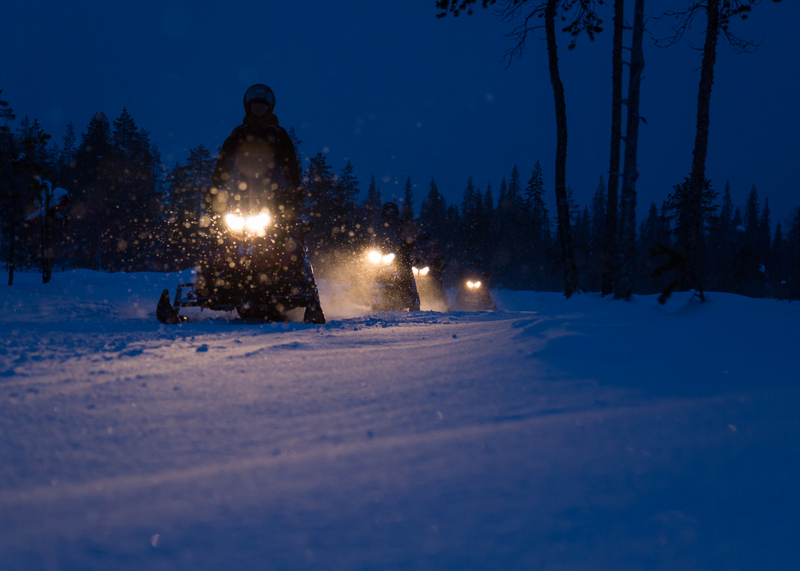 Extra self-liability insurance: Snowmobile driver is held liable for any damages caused to the vehicle. 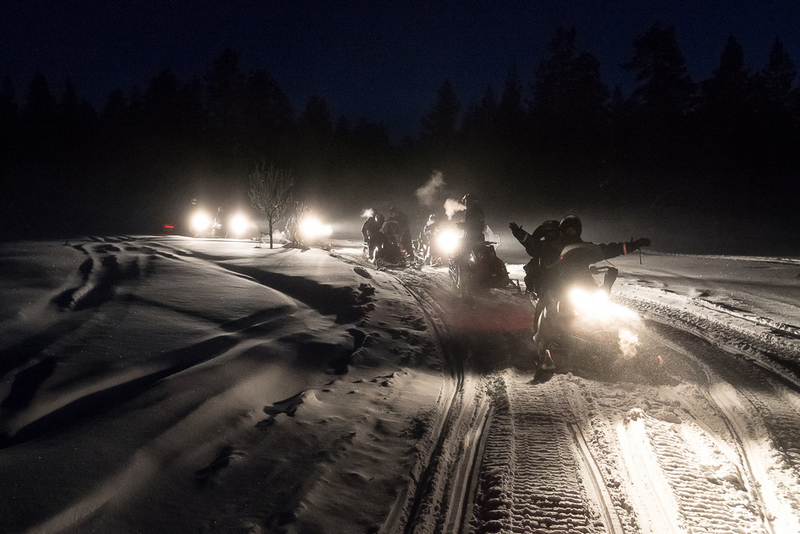 Personal liability is max 900 €/driver/snowmobile/accident. You can buy this extra insurance for 15 €/driver/safari. With this insurance, your self-liability is reduced to max.150 €/person/accident.